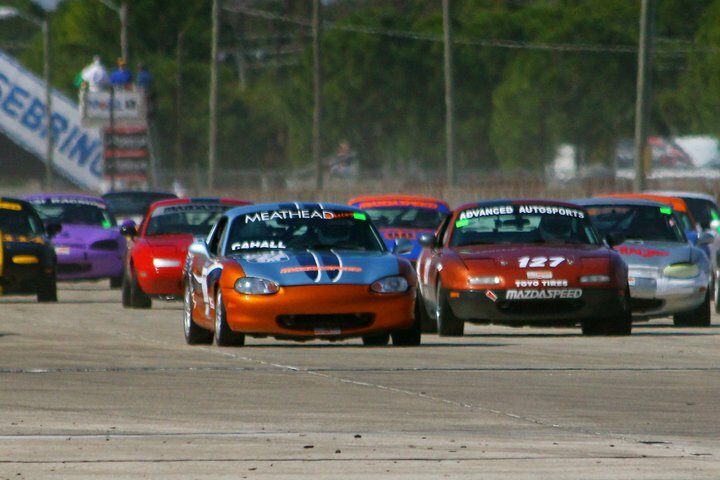 Ted Cahall traveled to Sebring, FL to attend the Central Florida Region (CFR) Double National on January 7-9 (see photos of the weekend's action courtesy of Karen Dildei). The trip started with a red-eye flight out of Seattle at 10:45PM on Tuesday January 4th. 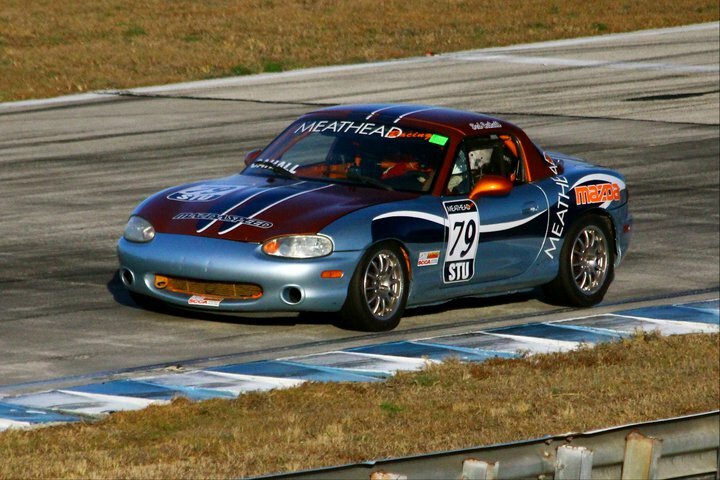 After landing at 7AM in Orlando, Ted drove a couple hours south to Sebring to learn the track. 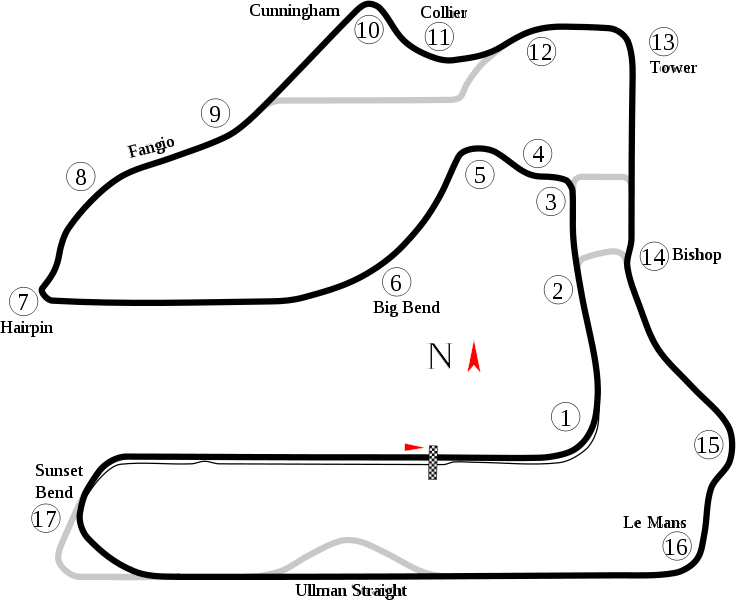 Sebring International Raceway officially has 17 turns to it (click to see track map) - so learning it was a slow process, especially with no sleep on the red-eye. Wednesday was also the first day Ted had seen either one of: his new paint job on his old SM #77 car as well as his "new" car and its paint job. They both looked great (see photo below of reverse color schemes). After a day of practice and a session out in the new car, Ted was ready for more practice on Thursday including some data collection. Thursday fared better than Wednesday and Ted began to pick up speed as he became more familiar with the track. Friday was a slightly less busy day. There were qualifying sessions for both Saturday and Sunday. 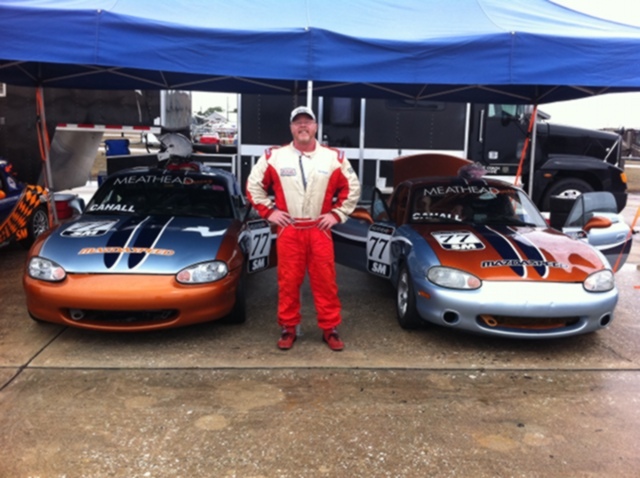 Since Ted was running in SM with his "old" car and STU with his "new" car (with #79 on it for the weekend), there were three total sessions on the track. In the morning session for SM, Ted set his fastest lap on Sebring at 2:39.693 (click to see video). This personal best would not fall for the entire weekend in either the SM or STU classes. This lap qualified Ted 19th in a field of 59 cars - which was his best qualifying position in terms of percent of the field. Qualifying for Saturday's STU race was not as productive and the qualifying for the Sunday race was even worse. Saturday began with a second qualifying session for each of the two races (SM and STU) followed by the actual races in the afternoon. Four racers moved up from their Friday qualifying times and moved Ted back into 23rd place to start the SM race. At the end of the day, Ted finished 33rd out of 55 cars in the Saturday SM race as he could not keep his lap times consistently fast. He did somewhat better in the STU race finishing 12th of 25 STU racers. The Sunday race fared a bit better for Ted. He started 35th after dismal qualifying sessions on Friday and Sunday morning. After a fairly serious "coaching" session from Mike Collins, Ted got a great jump at the start of the race and was also aided when several cars piled up in turn 1. After running a much better race on Sunday than he had on Saturday, Ted held off a number of competitors to finish 19th - up from a 35th place start! This was Ted's first top half finish for an SM National race as there were 50 cars that had started on Sunday. Press ESCAPE, Click on X (top-right) or Click Out from the popup to close the popup! As always, a huge thank you goes out to Glenn, Karen, Mike Collins and Meathead Racing for their pit crew services!